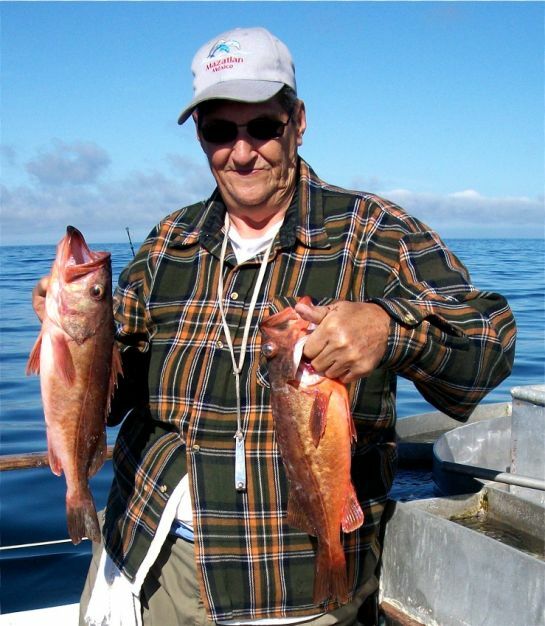 Cory Visser, of Long Beach, has been fishing for over 50 years. He has never had a boat of his own but is always there for captains who need a good crew. He is proud that he was once part of a crew that caught a Grand Slam of tuna on a one-day trip. 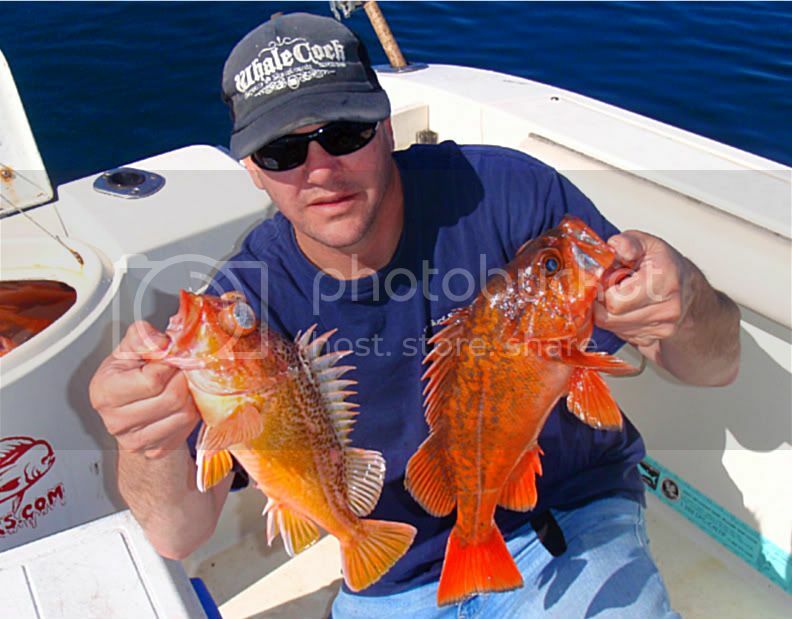 A Summary of local fishing from Santa Monica to Oceanside, including Catalina and San Clemente Islands, with fishing trips out of San Diego down to Baja, Mexico. The weekend weather was brutal, and was followed by several days of wind, which led to almost no fishing reports for this week. 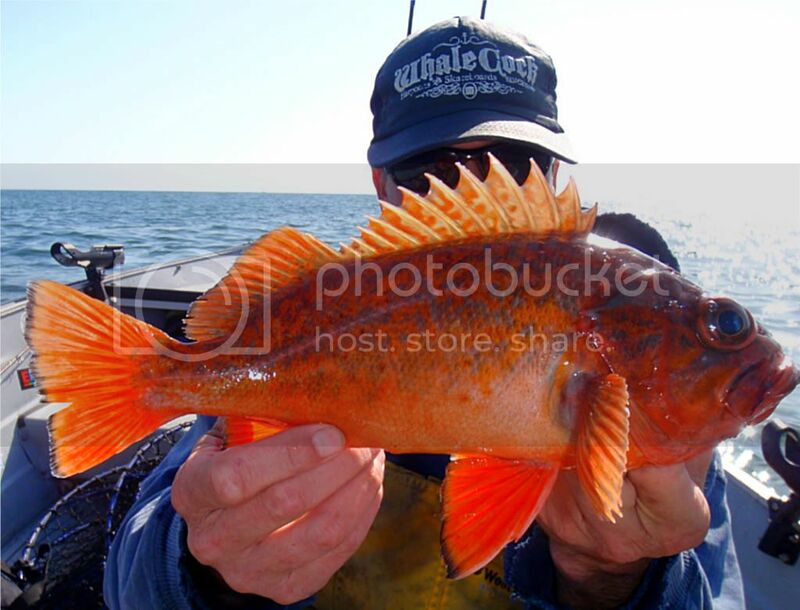 I will cover those few reports later; however, I decided I would do a special synopsis on fishing for Rockfish with a Lucanus or a similar Knockoff Lure to fill in the blanks. 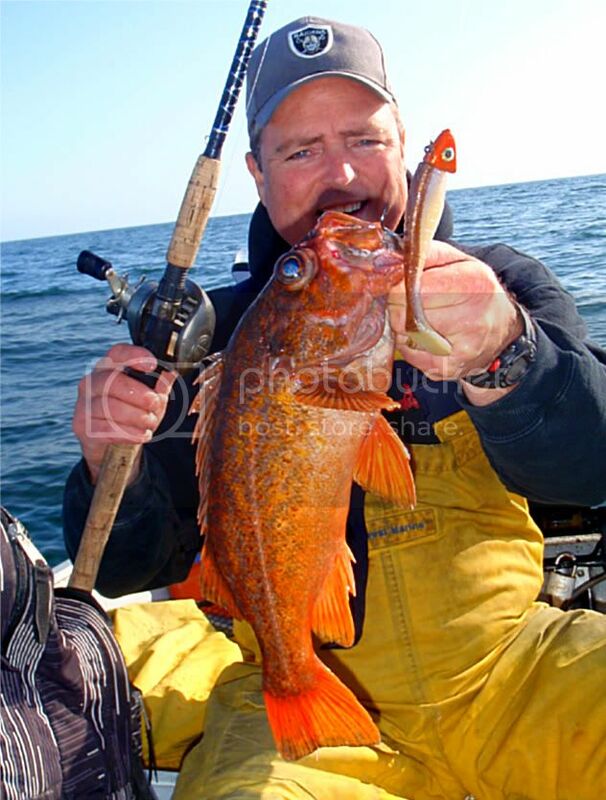 I have to give Hats off to Shimano for introducing the Lucanus Lure and their recommended Rod, Reel, Line and method of fishing for this most interesting new type of targeting Rockfish. For those that enjoy fishing plastics, this process is very similar, only you utilize the increased weight to enable you to get down to 200 to 300+ feet in depth where the bigger Rockfish live. 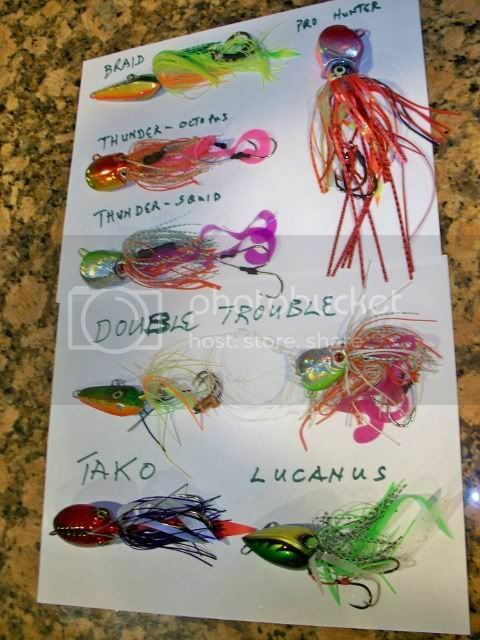 The best part for you sportsmen is using lighter tackle, 20-25 lb. test line top shots, the bigger models of Level Wind Bass Reels, 8' limber rods, and the primary line being Spectra, which provides a lot more action (feeling the bite) on deep water fishing for Rockfish. Instead of heavy Rods, Reels and line, which provide little fight, the lighter gear enables a better touch with the lively fish on the end of your line, even from 300 feet. Level wind reels allow for ease of winding up the long distance, yet you have a bit of a fight from a bigger fish as you reel it up. If you haven't tried it, add it to your list of must do! You will be incredibly surprised by your success ratio, it works and it is fun! If Rockfishing is not part of your winter/spring agenda, because you found that fishing with heavy gear eliminated most of the fun, try this method for fishing. Now here are a few tips on how to get the best results. Although I believe Shimano first introduced the product and fishing technique, although the lures they sell are fairly pricey and you don't need the expensive Rod and Reel combo they recommend, there are plenty available from other manufacturers, sorry Shimano, your pricing encourages competition? The following alternative lures are available, at significantly reduced pricing and they all work too! The other things I do not especially like about the Lucanus is the tiny hooks and their skirts do not last long, always needing replacement. 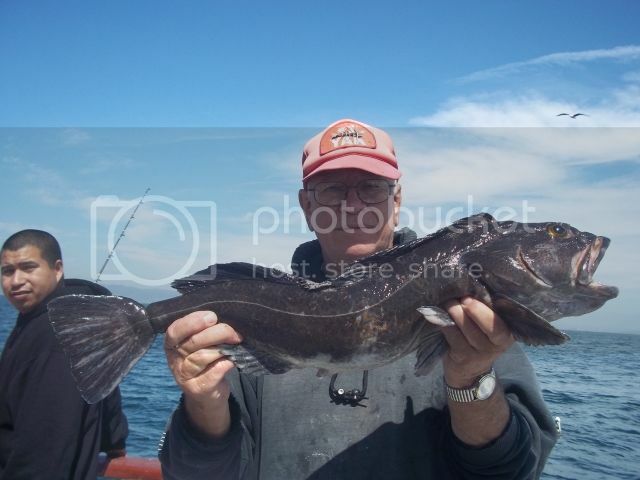 Most of the other models have larger hooks which can hold on to a Lingcod better, given their violent head shakes. 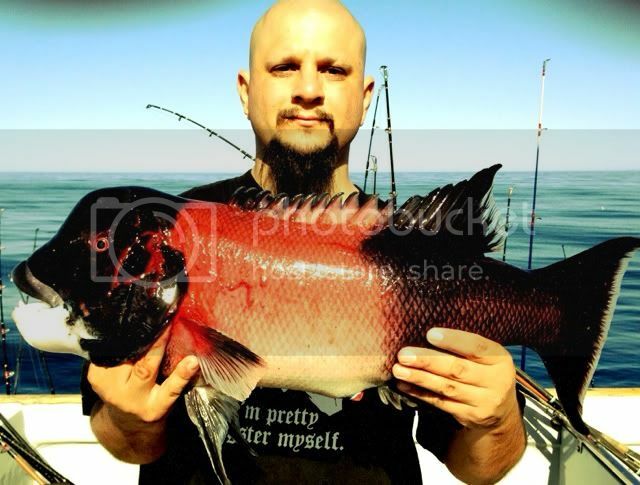 Also both Reds and Bocaccio have soft portions in their big mouths where the hooks can easily rip out. I first turned to the Braid Knockoff for results, and then added the Thunder Octopus and Thunder Squid to my repertoire. I found that a "Double Trouble" rig produced the best results, given you added small thin strips of squid to each hook and lure. You can use a double Lucanus Lure setup for great results, although, a bottom snag could cost you the loss of what $35, yikes! A Braid and Thunder Combo, as shown in the picture, costs about $12? Something to consider is that both the Braid and Lucanus have duel hook metal loops which allow for connections to your main line and to the second lure separately, a much preferred setup. The Tako also has that capability. So a good double trouble outfit would be a Lucanus, Braid or Tako on the top, a 2 foot leader and a Thunder or other Knockoff on the bottom. Since I use 30 pound Spectra for main line, I use approximately 30 feet of 25 pound top shot mono, and a 2 foot 25 pound mono leader, I found the 20 pound breaks more frequently if you have two big Reds hooked up. Of course with no break away, you can lose both lures when snagged on the bottom. A personal choice, I hate losing fish more than lures, and these kind of lures when hung on the bottom are often forgiving, IE; they come loose before the line breaks. To fish this combo, just pretend it is a plastic. Drop down to the bottom; slowly reel up about ten or more cranks, if not bit, drop back down. While winding up, if you feel a bite, keep winding until the line comes tight, and then set the hook. Sometimes on the wind up you get some little bites, tickles as I call them, you may want to stop until the line loads up, wind tight and set the hook for finicky fish. Most of the time the Big Reds hammer the lure, although sometimes they just nibble, and you need to be patient. Remember when using this technique be sure you are at least five cranks off the bottom otherwise the nursery fish will attack you. If you get tired of winding, sometimes just stopping up in the water column results in a good bite. Don't lay the rig on the bottom, its asking for a snag and loss of tackle. Also the little nursery fish live tight to the bottom, so at least reel up five to ten cranks and wait for a bite. When bit, wind down on the fish to set the hook. Given a hook up, wind slowly as a second bite may occur and you may catch a second fish for a "Double Trouble" thrill! 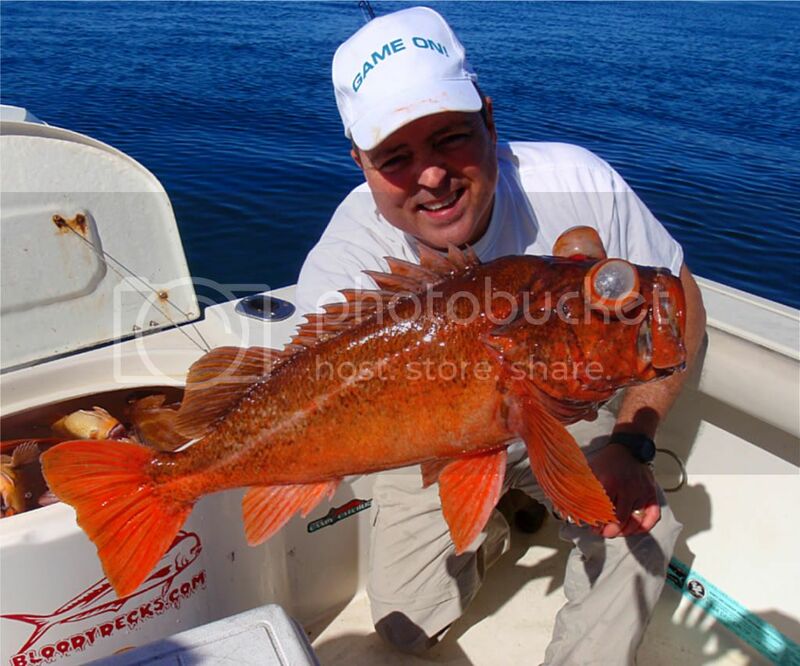 I hope this introduces you to a new method of fishing for Rockfish, and increases your enthusiasm for this kind of fishing. There was decent weather from Tuesday thru Thursday; however, the reports were mostly from the ¾ and ½ day Sport Boats locally. Saturday looks to be a good weather window, and then it gets rainy on Sunday. Rockfishing is still the name of the game right now. The recent storms have maintained the cold dirty water along the coast, which has put a damper on the Bass fishing, although the Native Sun on a Twilight trip had a great bite on the Sand Bass Sunday. 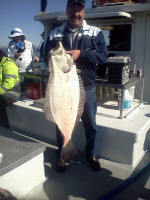 Also a few Halibut are still biting locally. The Toronado and Freedom have scheduled trips to San Clemente and San Nicolas Island on most weekends, although their were no trips made this week. 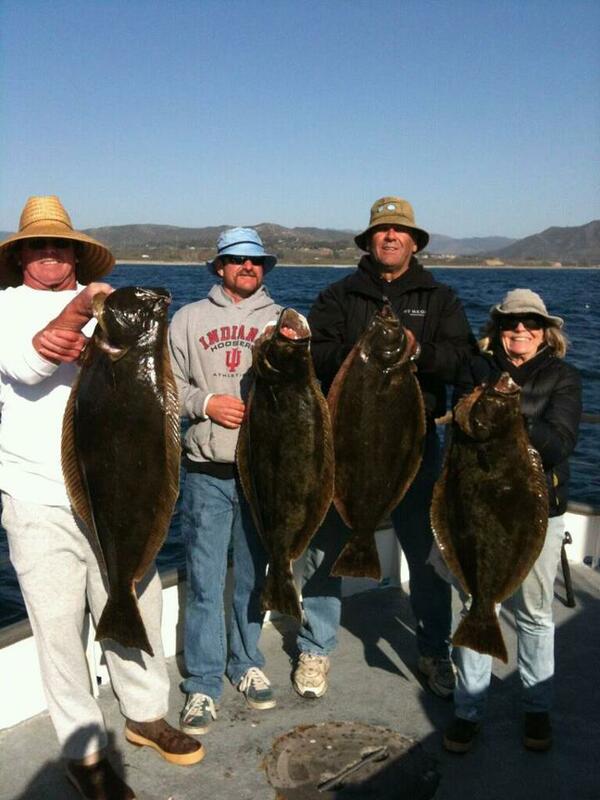 The Thunderbird runs daily trips to San Clemente Island at reduced prices, when enough anglers are booked. All the 1.5 day trips to Colonet were canceled last week. A few are scheduled for this weekend out of San Diego; unfortunately the demand is dwindling for these trips. A snap on the Yellowtail would sure improve the outlook. We simply need warmer water temps. Twilight fishing: No reports this week. There are some good opportunities this weekend for twilight trips. The ¾ day Tradition was off line this week for Coast Guard Inspection and is now cleared to run trips which will target Reds, Sculpin and Lingcod. 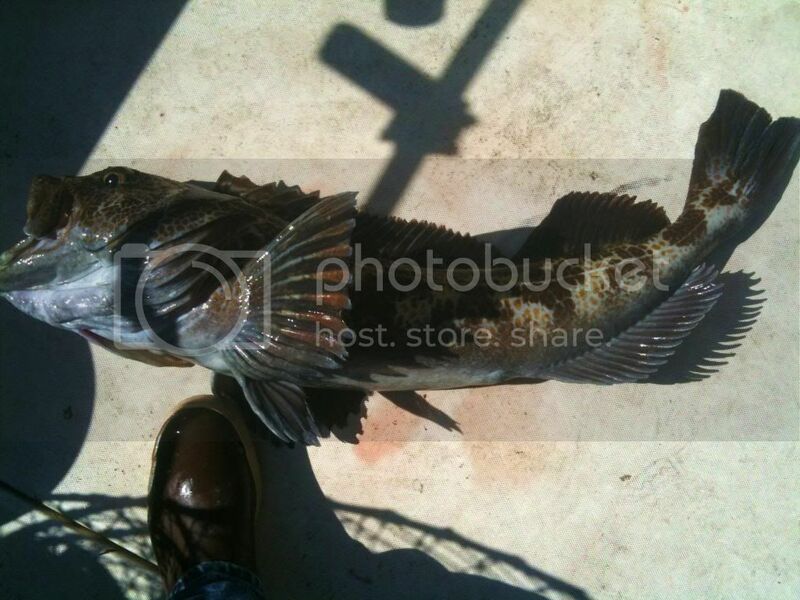 The ½ day boat New Del Mar caught 141 Rockfish and 112 Sculpin on their Thursday, 03-22-12trip. The ¾ day boat Spitfire loads up on the Rockfish on Thursday, 03-22-12, catching 60 Rockfish, 40 Sculpin, 100 Sand Dab and 65 Red Snapper. Newport Beach and Dana Point. 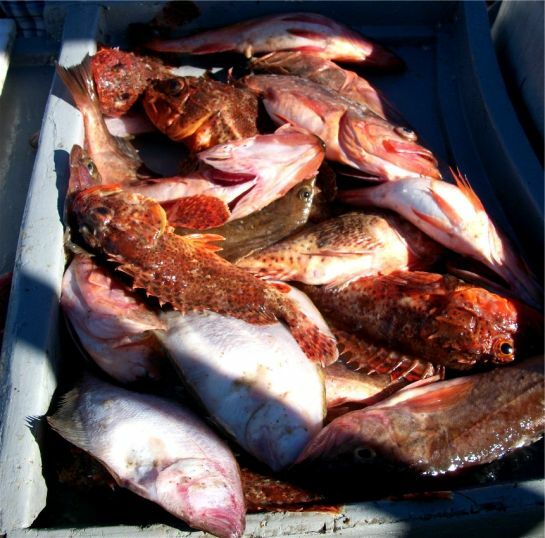 The ½ day boat Patriot out of Newport Landing ran a trip on Tuesday, 03-20-12 and caught 54 Bocaccio, 232 Rockfish, 150 Sand Dab and 28 Red Snapper. 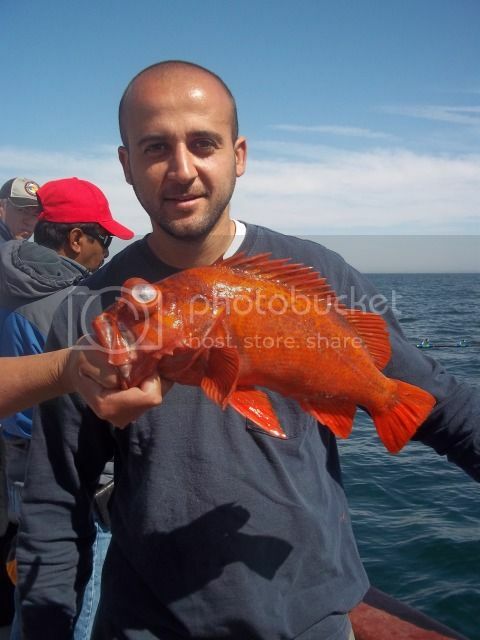 The Enterprise fished on Thursday, 03-22-12, and caught 70 Bocaccio, (limits), 185 Rockfish, 105 Sculpin and 42 Red Snapper. 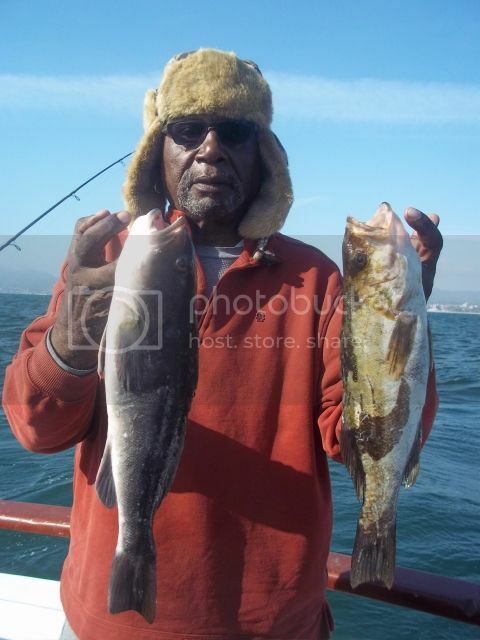 The ¾ day boat Sport King out of LA Harbor fished on Thursday, 03-15-12, as 12 anglers caught 24 Bocaccio (limits), 70 Rockfish and 25 Red Snapper. The 1/2 day boat Monte Carlo out of 22nd Street Landing ran a trip on Thursday, 03-22-12 and caught 49 Rockfish, 1 Lingcod and 124 Red Snapper. 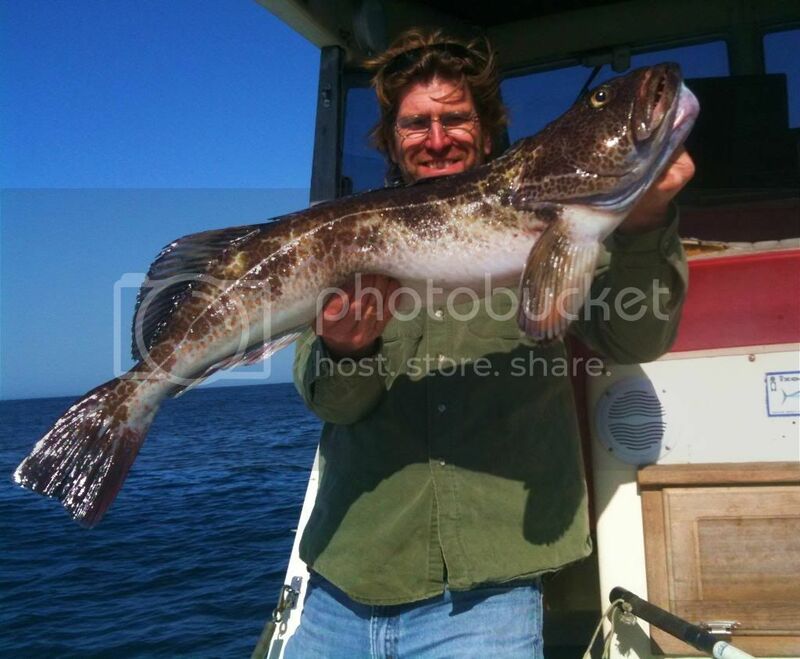 The 1/2 day boat Matt Walsh out of LA Harbor caught 11 Sheephead, 5 Whitefish, 4 Rockfish, 1 Lingcod and 26 Red Snapper for only 7 anglers on their Wednesday, 03-21-12, trip. The 1/2 day boat Native Sun on their Wednesday, 03-21-12 morning trip, they caught 22 Bocaccio, (limits), 30 Rockfish, 4 Sculpin and 1 Sole. I'm sure the Dreamer will be at the Island again shortly to target the White Seabass which are yet in spawning mode due to the cold water, and lack of Squid at the Island. The Pursuit out of 22nd St. Landing, ran to the Island on Thursday, 03-22-12, with 23 anglers catching 3 Calico Bass, 30 Sheephead, 18 Whitefish, 44 Bocaccio, 100 Rockfish, 1 Sculpin, 123 Perch, 1 Sargo and 15 Red Snapper. The Thunderbird is running a $99 special to the Island and on their last run caught plenty of rockfish, Whitefish and Sheephead. The Freedom out of 22nd St. Landing is running trips during the week and on Saturdays to San Clemente where they have been catching lots of Reds, some Lingcod and assorted Rockfish. Then they head to San Nicolas on an extended day trip on Sunday's. Down South-San Diego and good ole Mexico! 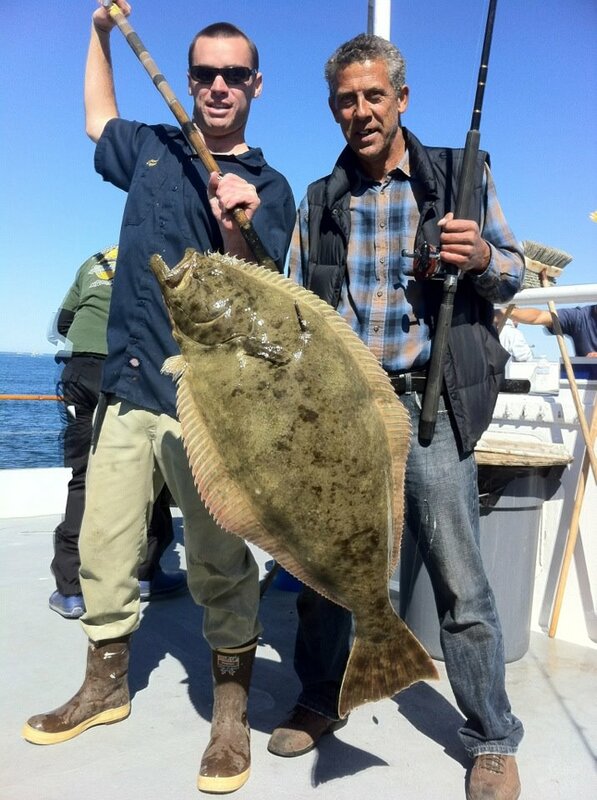 The ¾ day boat out of San Diego, The Point Loma with Captain Ron Baker is concentrating on putting anglers on Halibut. 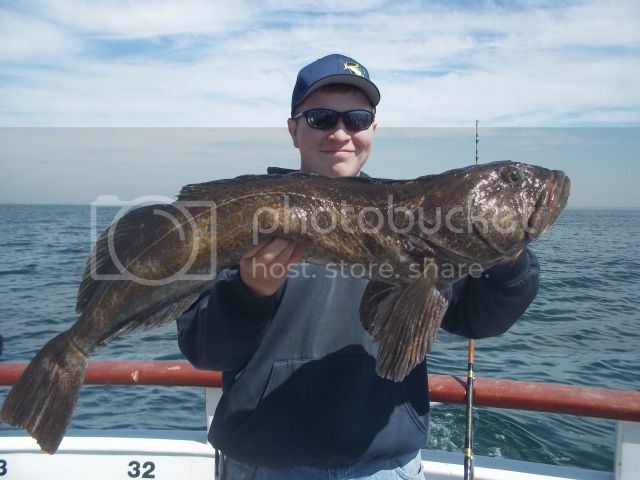 On Friday, 03-16-12 trip they caught 3 Halibut, 2 Calico Bass, 3 Sand Bass, 1 Sheephead, 27 Rockfish, 7 Sculpin 1 Perch and 16 Red Snapper. 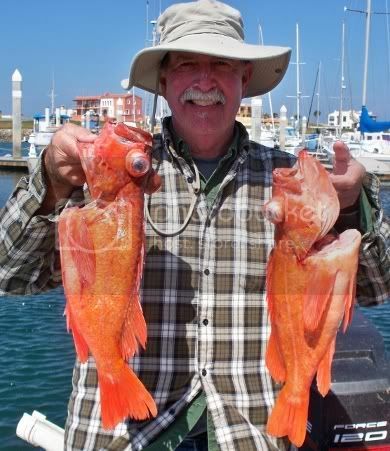 Private boater Bill out of Las Salinas found the Bocaccio on the chew on his Wednesday, 03-21-12 trip, catching easy limits, with one big Red and a few assorted other Rockfish in only two hours of fishing. All comments and suggestions welcomed! The weather forecast for the weekend is very calm for Saturday and rain forecasted for Sunday? Always check the latest forecast before leaving the dock. The weekend weather was very nice and consequently there were a variety of fishing reports from along the coast and at the Islands. The Fred Hall Show is over for another year; however, anyone who missed the Long Beach show can join those folks down south by attending the Del Mar Show next week. Overall the show was a bit light in traffic this year, especially on opening day. Sunday's traffic was light at first then peaked at around 2pm, with many isles alive and flowing with fishing enthusiasm. Rockfishing is still the name of the game right now. Cold dirty water along the coast has put a damper on the Bass fishing, although the Native Sun on a Twilight trip had a great bite on the Sand Bass Sunday. 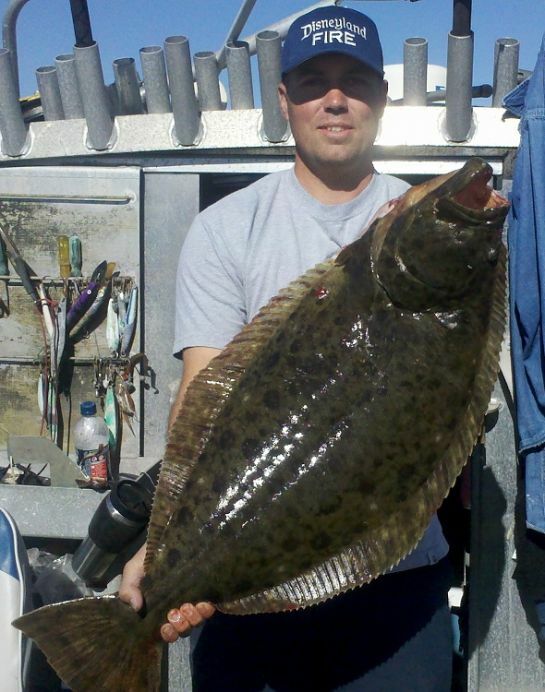 Also a few Halibut are still biting locally. The Yellowtail bite at Catalina did not maintain any momentum, with no reports this week of fish caught, although I'm sure the front that came in during the week was the primary cause. It is time for White Seabass to show at the Island; yet the cooler water needs to warm up to at least 60 degrees in order to expect any kind of bite. It would help if the Squid also made a showing, as the last few reports from the Island indicated no floats forthcoming. 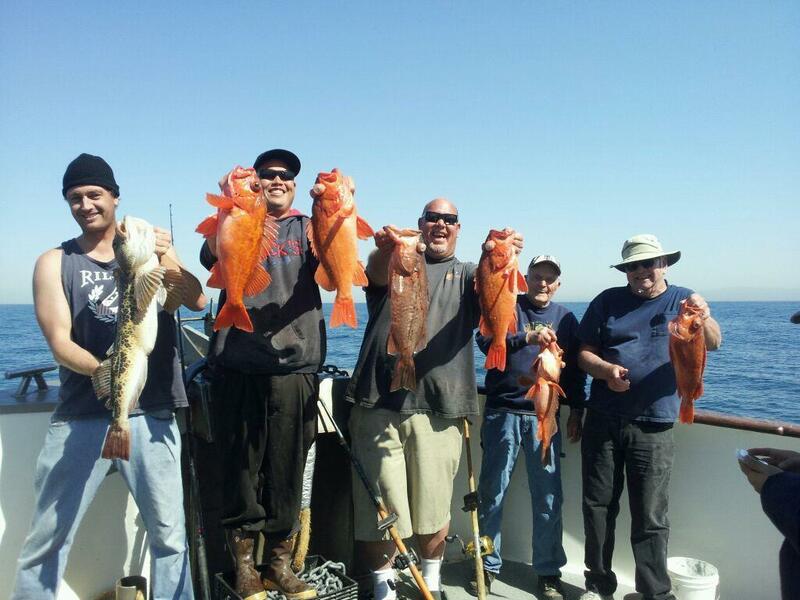 Twilight fishing: The Slammer out of Redondo Sportfishing ran a trip on Sunday, 3-11-12, with 4 anglers catching 10 Rockfish and 20 Lobster. 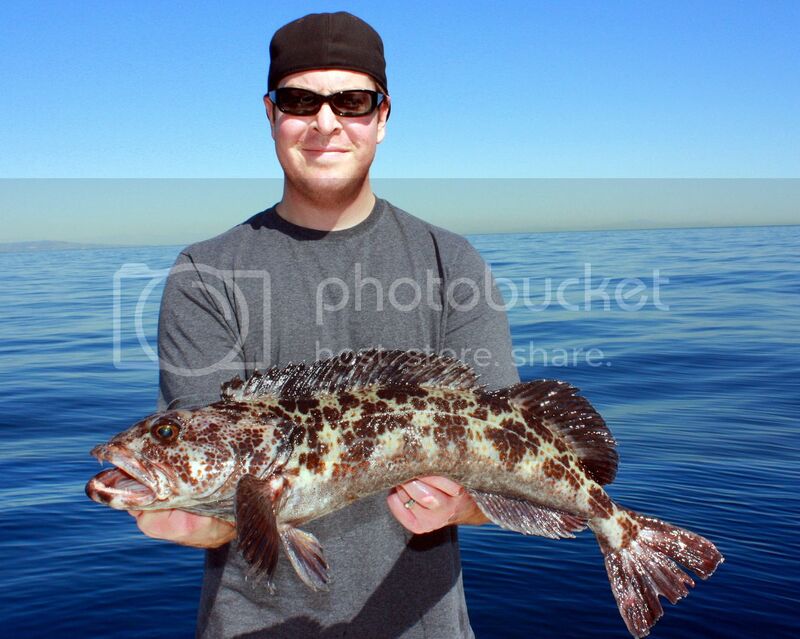 The Native Sun out of Long Beach ran a Twilight trip on Sunday, 03-11-12 catching 79 Sand Bass and 5 Sculpin. 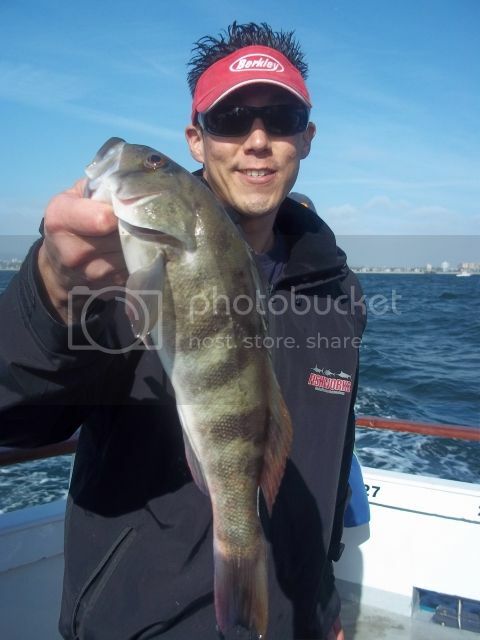 The Freelance out of Davey's Locker ran a twilight trip on Sunday, 03-11-12 and caught 4 Sand Bass, 10 Rockfish and 80 Sculpin. 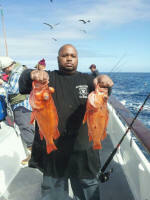 The ½ day boat New Del Mar caught 275 Rockfish, 2 Lingcod and 88 Sculpin on their Sunday, 03-11-12 trip. The ½ day boat Patriot out of Newport Landing ran a trip on Thursday, 03-15-12 and caught 78 Bocaccio, (limits), 99 Rockfish, 100 Sand Dab and 213 Red Snapper. The ¾ day boat Sea Angler out of 22nd Street Landing ran a trip on Monday, 03-12-12 and continues to slam the Sand Dabs, catching over 1540! 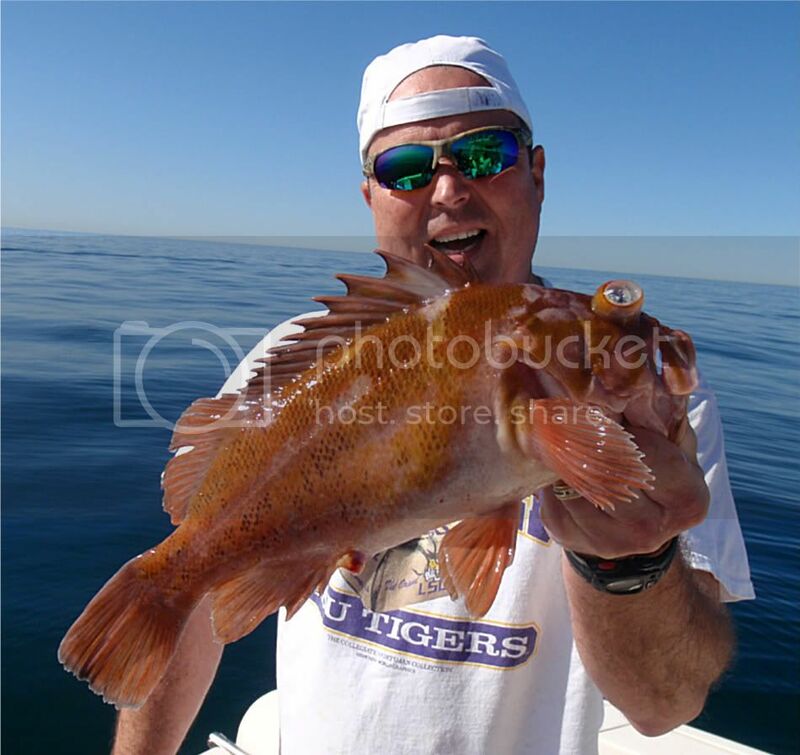 The 1/2 day boat Matt Walsh out of LA Harbor caught 6 Sheephead, 39 Rockfish, 2 Sculpin and 22 Red Snapper for only 8 anglers on their Thursday, 03-15-12, trip. 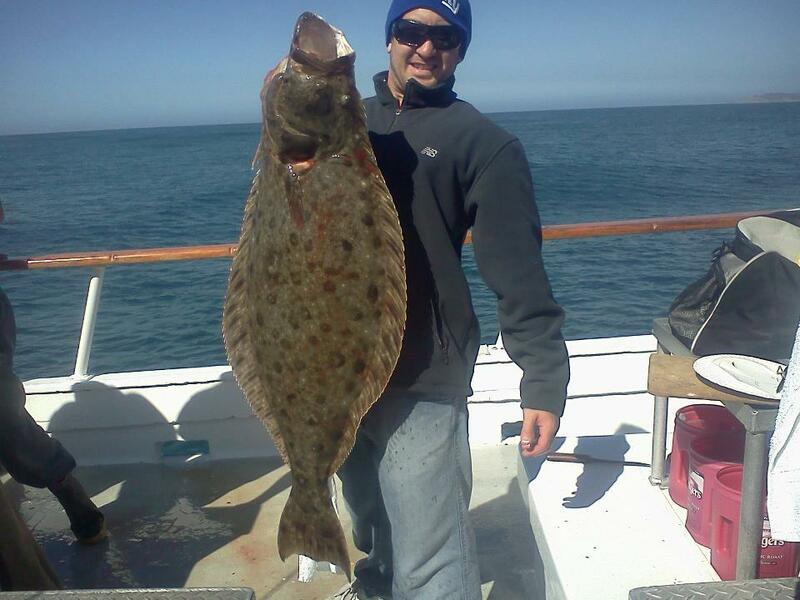 The 1/2 day boat Native Sun is targeting Halibut for their annual derby, and on their Saturday, 03-10-12 morning trip, they caught 2 Halibut, 2 Sand Bass, 1 Rockfish and 17 Sculpin for 10 anglers. The Pursuit out of 22nd St. Landing, ran to the Island on Wednesday, 03-14-12, with 32 anglers catching 3 Calico Bass, 36 Sheephead, 54 Whitefish, 64 Bocaccio, (limits) 112 Rockfish, 7 Sculpin, 270 Perch and 15 Red Snapper. 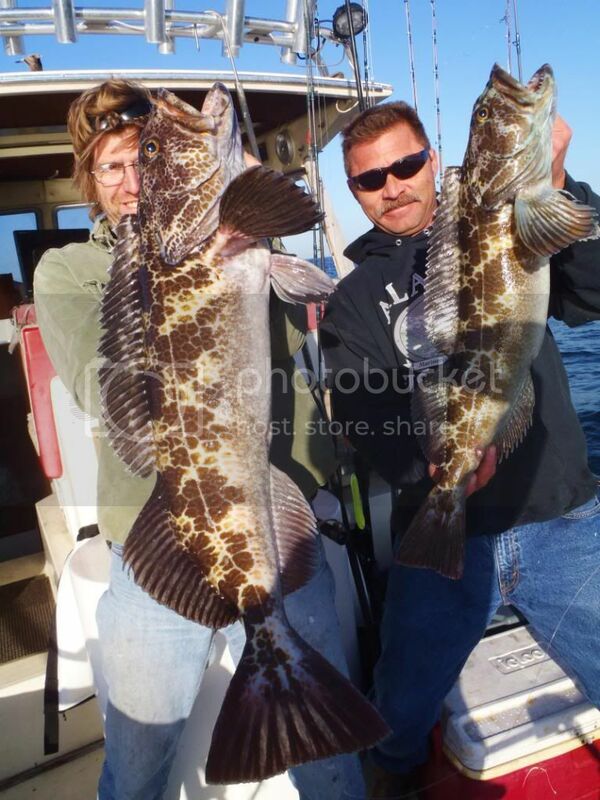 The Thunderbird is running a $99 special to the Island and on their Saturday, 03-10-12 trip they caught 14 Sheephead, 7 Whitefish, 175 Rockfish and 2 Lingcod for 25 anglers. 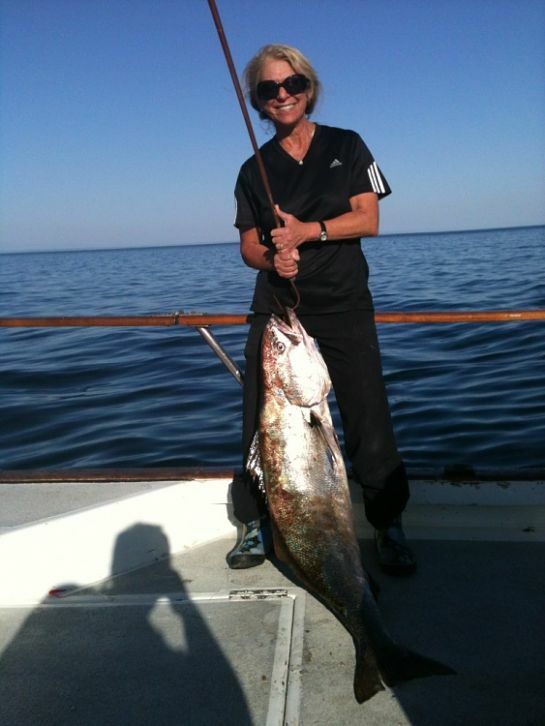 Private boater Dave on his 28' Farallon, "Hooked" fished on Friday, 03-09-12 with friends on the backside of San Clemente. 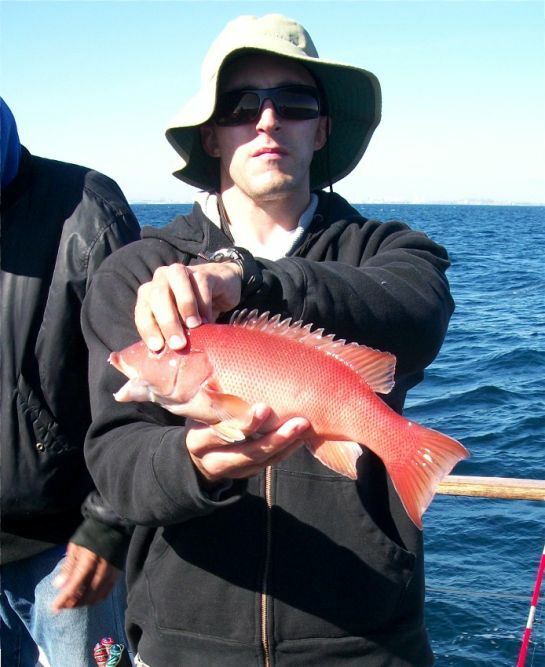 Dave said the weather was great and the fishing was steady, with near limits of big Reds and limits of Rockfish for the five of them. 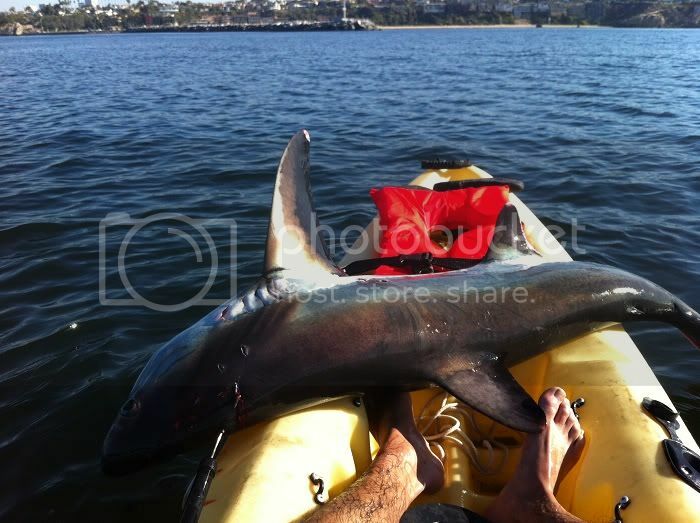 OK, this happened several weeks ago in La Jolla, yet how many of us can drool over catching a 52 pound Yellowtail in local waters? The weather forecast for the weekend looks awful for both Saturday and Sunday? Time to find some indoor Honey due's, light the fire in the Fireplace and read a good book. Always check the latest forecast before leaving the dock. 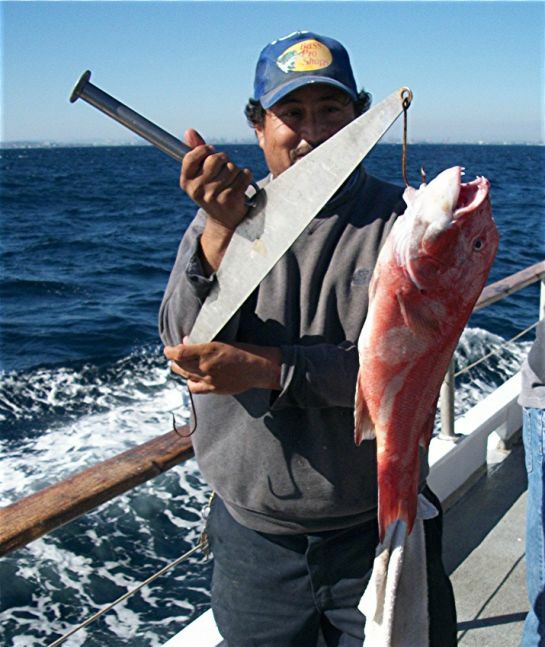 For local fishing in the Santa Monica, Long Beach, Catalina and San Clemente Islands, with trips out of San Diego and Baja, Mexico. Wow, what a weekend, following up opening day for Rockfish with a bang. Beautiful weather provided all anglers ample opportunity to get out and catch some fish. Almost everyone headed out for their favorite structure spot, hoping to catch Lingcod, Big Reds and assorted other Rockfish. Almost all were rewarded with great fishing. A few continued to target Halibut, while others found Exotics at the Islands. This was a very exciting week for fishing. 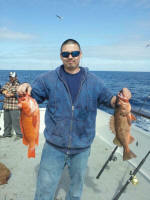 Four Yellowtail were caught at Catalina over the weekend by private boater Jeff, see more details under Catalina. Generally during the Fred Hall Show, this is the time the White Seabass begin to show at the Island, although the cooler water needs to warm up a bit to set them in action. Last weekend's 80 degree weather did not hurt as we saw the water temps increase as much as five degrees from 6am to 6pm. However, the cold front that moved through on Tuesday offset the great weather on the weekend. 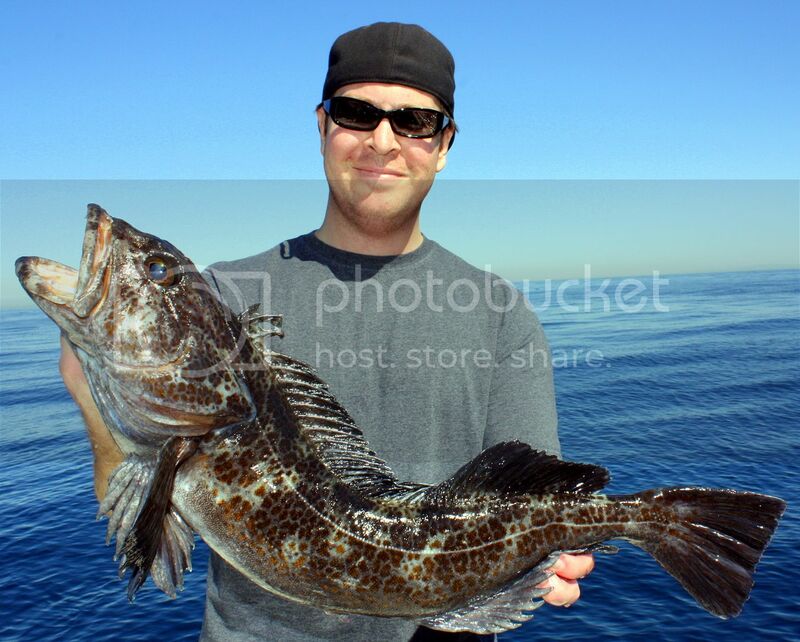 Local fishing has been sensational for Rockfish, a good shot at the Lingcod, Sculpin and some Bass. Halibut fishing continues to be excellent when targeted. Improved Bass fishing will depend on increasing water temps. Twilight fishing: The Slammer out of Redondo Sportfishing ran a trip on Sunday, 3-04-12, with 4 anglers catching 6 Sand Bass, 1 Sheephead, 10 Rockfish, 2 Lingcod, 19 Rock Crab and 2 Spider Crab. The Native Sun ran Twilight trips on Saturday and Sunday catching some Sand Bass and a bunch of Sculpin. 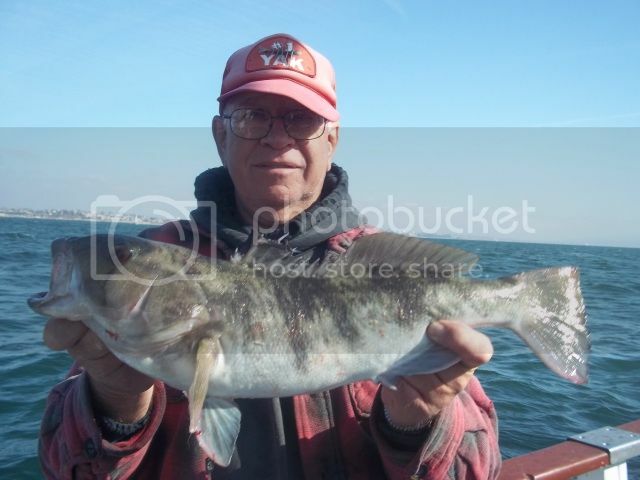 The Freelance out of Davey's Locker ran a twilight trip on Sunday, 03-04-12 and caught 2 Calico Bass, 13 Sand Bass, 95 Sculpin and 1 Perch. The Tradition ran ¾ day trips over the weekend, on Saturday, 03-03-12, 37 anglers caught 273 Rockfish, 2 Lingcod, 11 Sculpin, 93 Sand Dab and 1 Thresher Shark . 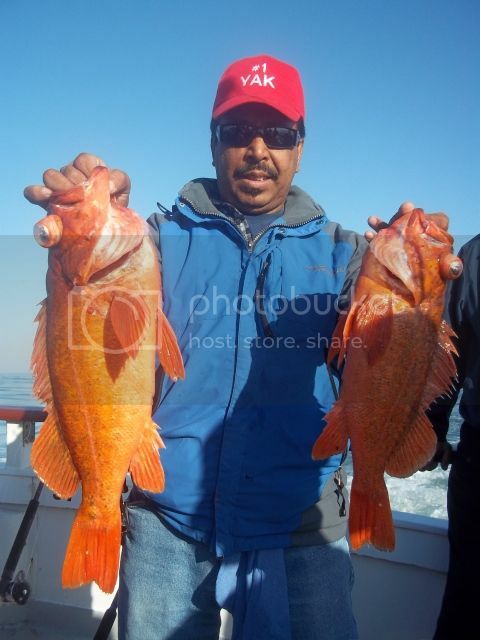 The ½ day boat New Del Mar caught 155 Rockfish and 175 Sculpin (limits) on their Sunday, 03-04-12 trip. The ½ day boat Patriot out of Newport Landing ran a trip on Monday, 03-05-12 and caught 32 Bocaccio, 45 Rockfish and 154 Red Snapper. The ¾ day boat Sport King out of LA Harbor fished on Friday, 03-02-12, as 18 anglers caught 2 Sheephead, 12 Whitefish, 34 Bocaccio, 20 Rockfish and 125 Red Snapper. The ¾ day boat Sea Angler out of 22nd Street Landing ran a trip on Monday, 03-05-12 and continues to slam the Sand Dabs, catching over 2950! 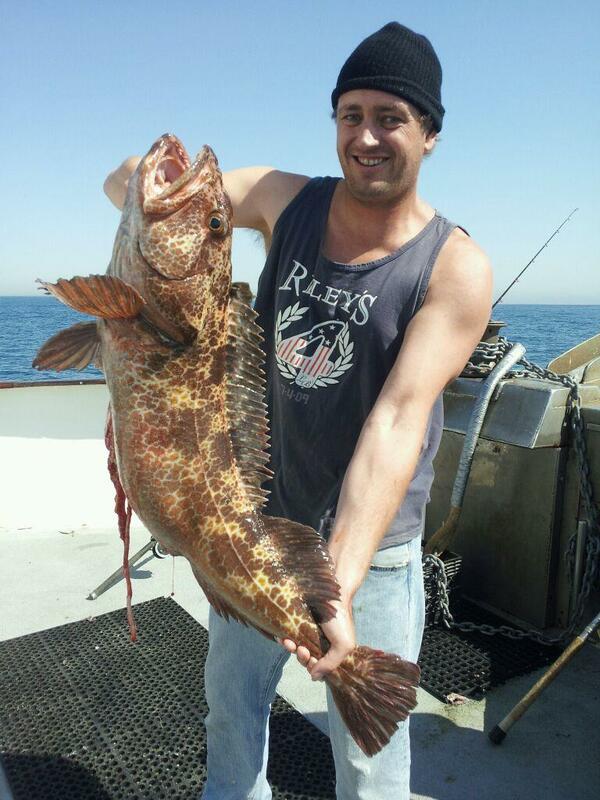 The 1/2 day boat Matt Walsh out of LA Harbor caught 40 Bocaccio, (limits), 1 Lingcod, 55 Red Snapper and 100 Red Rock cod for only 20 anglers on their Sunday, 03-04-12 trip. 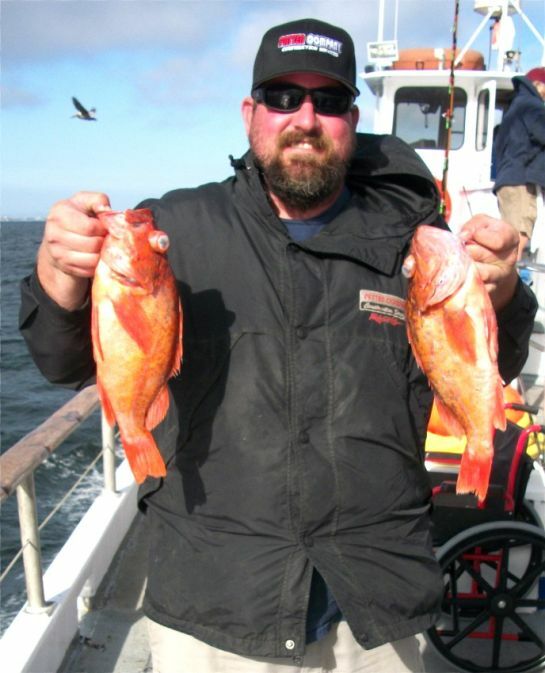 The 1/2 day boat Native Sun is targeting Halibut for their annual derby, and on their Saturday, 03-03-12 morning trip, they caught 4 Halibut, 7 Rockfish and 29 Sculpin. The Pursuit out of 22nd St. Landing, ran to the Island on Wednesday, with 18 anglers catching 2 Sheephead, 8 Whitefish, 35 Bocaccio, 53 Rockfish, 11 Sculpin and 104 Red Snapper. The Thunderbird is running a $99 special to the Island and on their Saturday, 03-03-12 trip they hammered the Reds and other assorted Rockfish. 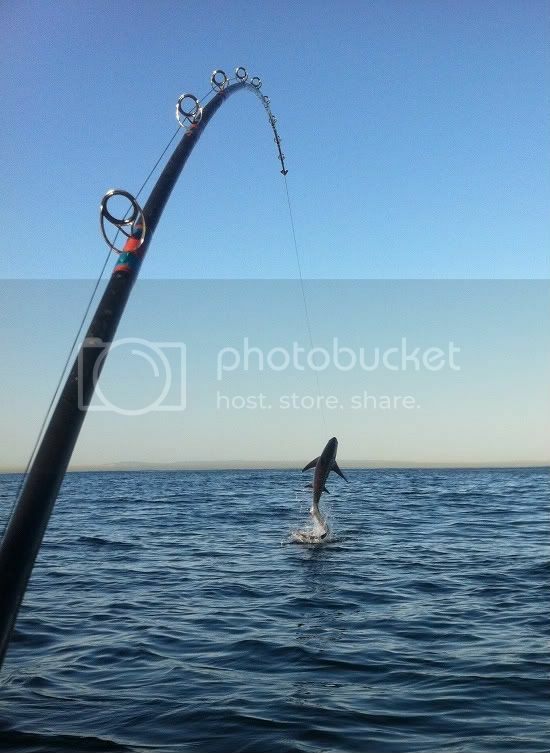 I fished with private boater Dave on his 28' Farallon, "Hooked" on Sunday, 03-04-12 on the backside of San Clemente. The weather was incredible and the fishing was off the charts. 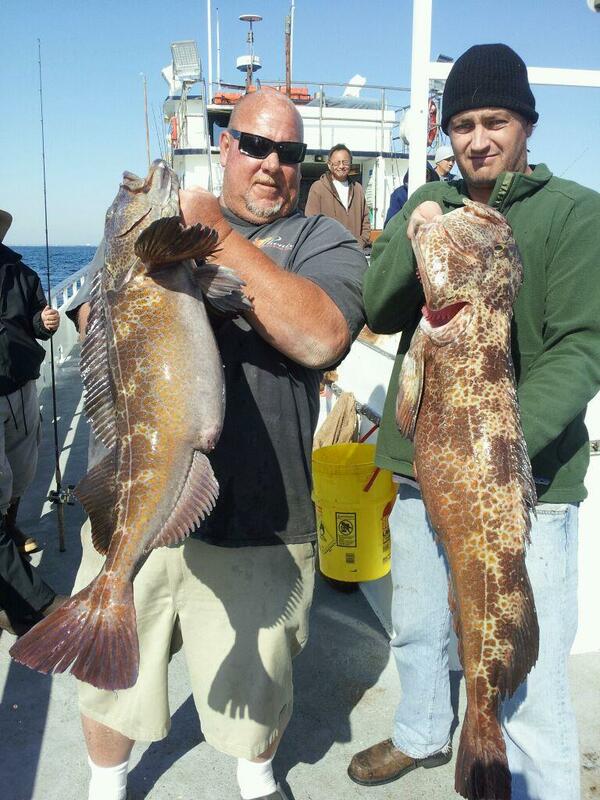 We caught two Lingcod, 12 and 16.5 pounds, to go with nearly 40 big Reds and limits of Rockfish for five of us. WeatherThe weather forecast for the weekend looks decent along the coast in the morning and breezy in many areas for both Saturday and Sunday in the afternoon? Always check the latest forecast before leaving the dock. Decent weather on Saturday and Sunday resulted in quite a decent week of fishing for both Sport boats and private boaters. 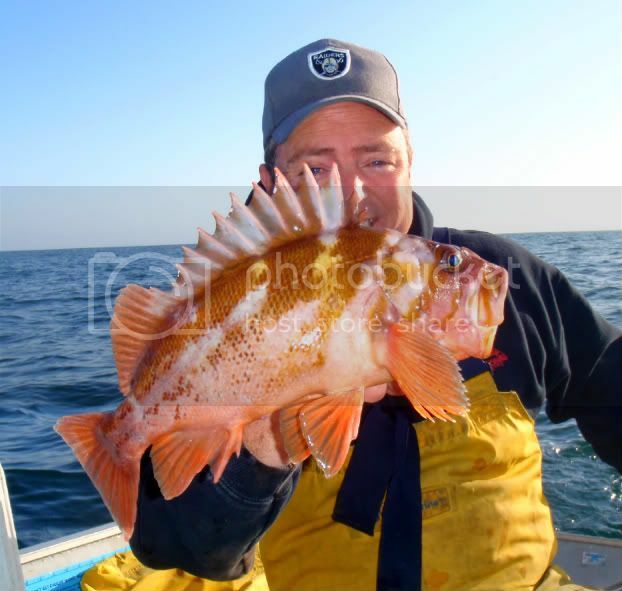 Opening day for Rockfish yesterday was a big success with lighter loads than usual as the forecast called for windy seas. The Fred Hall Show opens this coming Wednesday, 03-07-12, and runs through Sunday. I will be working the AllCoast booth with Japan Ron and Tailman Lal on Wednesday; I also will be in the booth Sunday. Hope to see you all at the show, stop by and introduce yourself, as I am looking forward to meeting all those anglers frequenting the message boards that I have not met and of course getting reacquainted with all my good fishing friends. The San Diego boats had a great weekend of fishing and will continue to run their 1.5 to longer freezer specials down to Colonet or further south, until the Yellowtail begin to show up at the Islands or offshore. I understand this was Chris Randall's (Captain) last trip on the Indian, as he is moving on to pursue other interests out of state,as the economic climate in California is just too harsh right now. 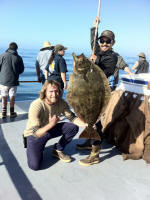 The ½ day boat New Del Mar continues to have great success targeting Bass and Sculpin. 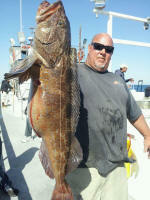 The New Del Mar caught 4 Sand Bass and 295 Sculpin almost (limits) on their Saturday, 02-24-12 trip. 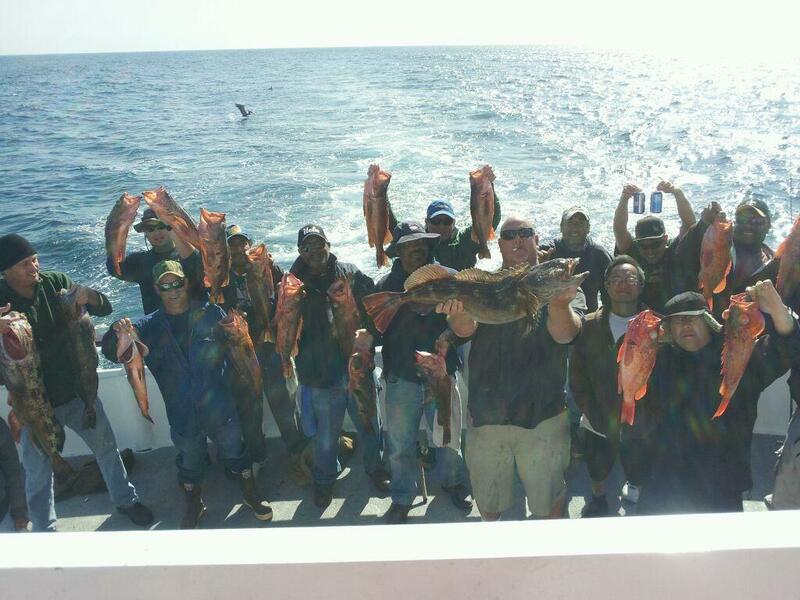 The ½ day boat Patriot out of Newport Landing ran a trip on Thursday, 03-01-12 and caught 38 Bocaccio, (limits), 36 Rockfish 58 Red Snapper 2 Cabazon for 19 anglers. 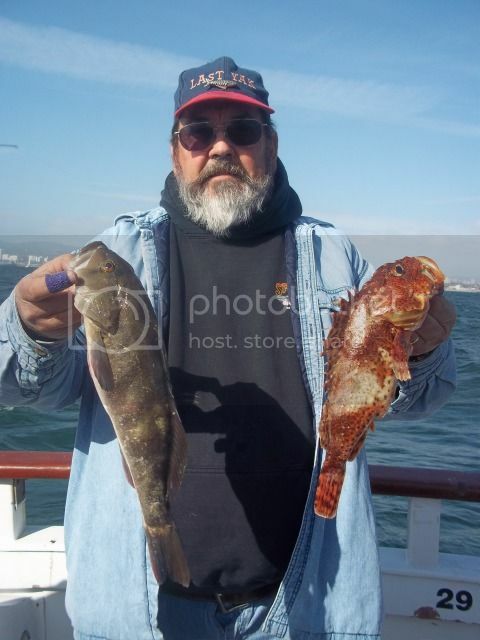 The ¾ day boat Sport King out of LA Harbor fished on Thursday, 03-01-12, as 15 anglers caught 30 Bocaccio, (limits), 3 Lingcod, 1 Sculpin and 90 Red Snapper. 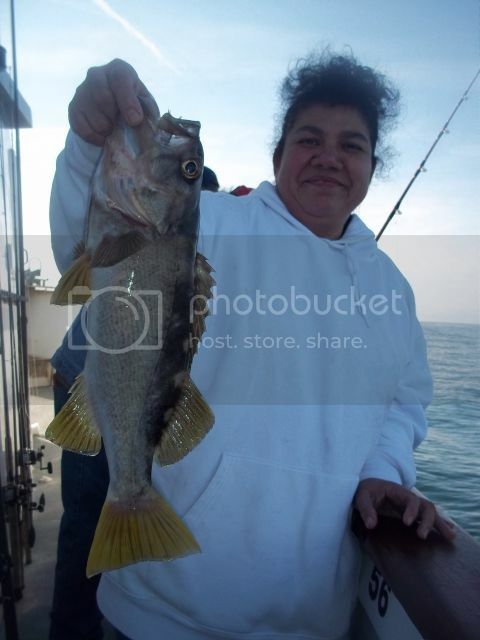 The ¾ day boat Sea Angler out of 22nd Street Landing ran a trip on Sunday, 02-25-12 and continues to slam the Sand Dabs, catching over 2900! Private boater Steve made a trip to the Island on Saturday, 02-24-12. They could not get the Squid to float, and did not find anything of value using the frozen squid they brought along. The Freedom out of 22nd St Landing ran a full day trip to the Island on opening day and caught 35 Reds and a great assortment of other Rockfish, Sheephead and Whitefish. 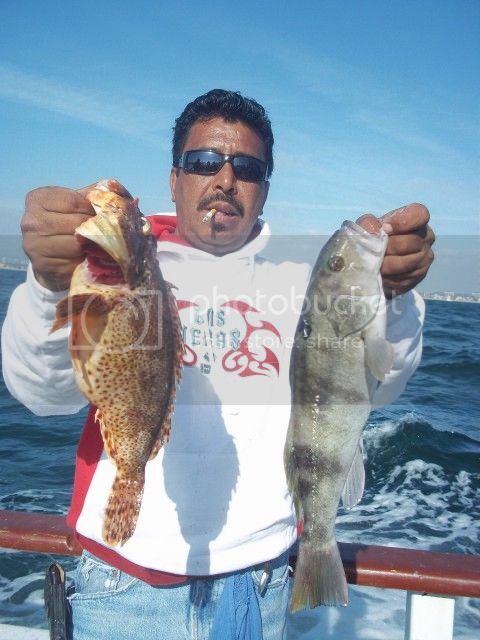 Down South-San Diego and good ole Mexico!Charter Master Louie ran a trip out of Ensenada on Friday, 02-24-12, with several clients, finding the Yellowtail under the birds in the morning proved fruitless; however, the Birds and Tails went on a rampage in the afternoon. Louie managed to catch a Yellowtail using the Yo Yo Iron. Another Yellowtail was hooked on a Mackerel by Chris, while a third jig fish spit the hook. 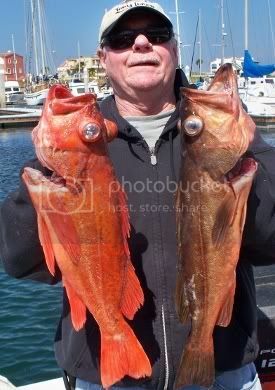 They also targeted an assorted of Rockfish and did well, with some Reds and Lingcod on the chew. WeatherThe weather forecast for the weekend looks breezy in many areas for both Saturday and a bit better on Sunday? Always check the latest forecast before leaving the dock.